The carrier added the city of Turkmenbashi to its network, located in western Turkmenistan at the shores of the Caspian Sea. It is now the fifth destination in Central Asia and Siberia served by the airline headquartered in Luxembourg. Bulent Ilhan wipes the sweat off his brow. Not only because it is hot these days in Turkmenistan with temperatures close to 50°C (122°F) at midday but mainly due to the fact that Cargolux’s Director Central Asia and Turkey has his hands full, coordinating all operational and administrative processes with Turkmenbashi’s Airport officials and state authorities. 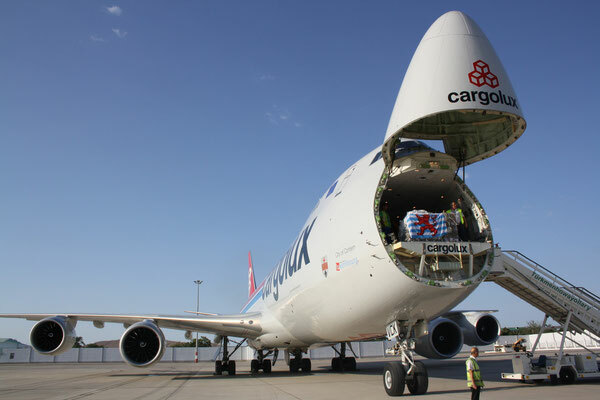 There was a Himalayan mountain of work to be accomplished before the way was paved for celebrating Cargolux’s inaugural flight to Turkmenbashi last Monday. A high loader had to be organized to unload and load the Boeing 747-8F, equipped with a hinged-nose; the operators and the ground crew needed to be trained, local customs procedures had to be brought in line with European demands to prevent any hiccups which could cause shipments to get stuck in any way. But what basic idea had driven the management at Cargolux to decide to operate commercial flights at a place hardly known outside of Turkmenistan with nothing but steppe in the hinterland? First of all, it wasn’t really their initiative, clarifies Ymamberdy Ymamberdiev, Deputy Chief of Turkmenistan’s Civil Aviation Authority. “We approached Cargolux years ago to operate commercial flights to our country on their way from Luxembourg to destinations in the Far East,” he says. A concern of the Central Asian State that now has become reality. So what is the expectation for Turkmenbashi? “It’s predominantly the oil and gas biz which we intend to capture market share of but also some garments and rugs stemming from local production and exported from here,” Dirk illustrates. The manager also pointed out the many infrastructural projects set up all over Turkmenistan as part of a master plan to improve the infrastructure. The first fruits of labor can be seen at the capital Ashkhabad, where the Turkish construction group Polimeks is building a new airport from the ground up, including a cargo terminal enabling an annual throughput of 200,000 tons. Currently, however, it’s only 20,000 tons that are loaded or unloaded at the existing Ashkhabad airport. “Projects like the airport improvement program but also building train tracks, highways and other undertakings on the government’s program drive imports, because modern equipment and machinery is needed to accomplish all this,” says CEO Reich. He had rushed to the country not only to be on site when the first Cargolux flight arrives but mainly to discuss present and future business opportunities with local decision makers. Although nothing official had been released, the talks must have been fruitful. 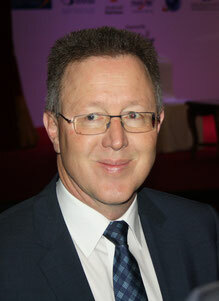 “One idea we tabled was further developing the perishables business in Turkmenistan. They have the land, the infrastructure is developing fast and we provide transport capacity to fly vegetables, fruits and other agricultural product from here to China,” Reich outlines the vision. So Cargolux’s Turkmenistan operation could grow into something bigger. This all the more since Cargolux will enter into a partnership with state-owned Turkmenistan Airlines. “We intend on establishing a similar partnership to the one we recently have inked with Oman Air, utilizing the holds of their passenger aircraft for feeding and de-feeding cargo shipments,” announces Cargolux’s VP of Corporate Development Maxim Strauss. The Turkmenistan carrier operates a fleet of different Boeing 737 variants, the smaller Boeing 717 on domestic routes and some larger Boeing 757s and even 777s, the latter mostly used for flying to China, Europe and the Middle East. 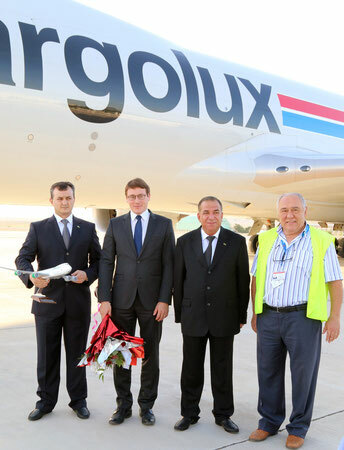 For starters, Cargolux operates four weekly flights to and from Turkmenbashi. But Maxim Strauss indicates that these frequencies might be upped. “Of course, our future commitment depends on the commercial success of these Turkmenistan flights,” he notes, who was busy until yesterday with the final clarification of important contractual arrangements. “The negotiations with Turkmenistan’s authorities have been very cooperative with contracts drawn up both in English and Russian,” he says. For CV Director Central Asia and Turkey Bulent Ilhan Turkmenbashi was kind of a déjà-vu moment. “After all, it’s already the 11th online station that I have opened in my long career with the airline,” he states proudly. Before, it was Tbilisi, Novosibirsk, Almaty, and some others located between the Black Sea and the western bordr of China. Bulent seems to be the ideal person for this challenging job in a geopolitical region that’s not always easy to do business in. As a Turkish national who has learned the cargo basics in Frankfurt he is well acquainted with both European quality demands and the specific mentality of Kazakhs, Turkmens, Russians or Georgians. “He not only speaks Turkish and German fluently but also some Russian and a number of local Central Asian languages, Maxim explains. Bulent didn’t get to hear this. He had finished his duties and had gone for a refreshing swim in the Caspian Sea.